The potential offering would mark a turnaround for the once-troubled company, which has filed for bankruptcy seven times over its century-long history. 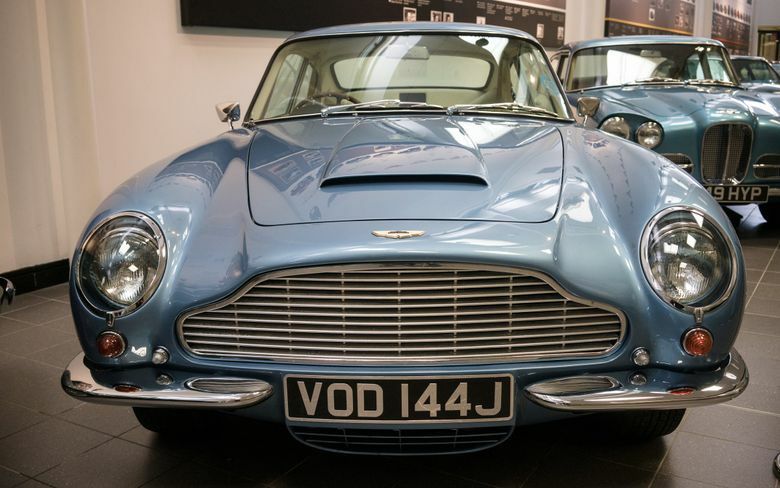 LONDON — Aston Martin, the British automaker best known for being James Bond’s car brand of choice, said Wednesday that it planned to go public. The potential offering would mark a turnaround for the once-troubled company, which has filed for bankruptcy seven times over its centurylong history and passed from owner to owner, including the likes of Ford Motor. A stock sale would also plant Aston Martin’s flag in the markets as an independent, publicly traded British carmaker as its home country heads toward divorce from the European Union. The plans for an offering signal a belief that even after Brexit, Aston Martin’s luxury sports cars and sedans will appeal to deep-pocketed auto buyers worldwide. In a regulatory filing, the company specifically said that it stood to benefit from growth in “high-net-worth individuals,” particularly in Asia. The company’s main draw is its history as one of Britain’s most revered makers of lustworthy automobiles. If the company moves forward with an initial offering, it will follow in the footsteps of Ferrari, the Italian luxury carmaker. That company currently commands a premium valuation among investors, with its $24 billion market capitalization trading at a lofty 35 times its estimated earnings for the next 12 months. Underpinning Aston Martin’s financial aspirations is a business plan focused on both Bond-esque speedsters and, through a reintroduction of its Lagonda brand, a line of luxury electric SUVs and sedan cars.